With Stephanie Ruhle leaving Bloomberg Morning for MSNBC; although she had been mailing it in for months, she was at least serviceable, the lack of a competent morning female lead at Bloomberg is quite apparent. 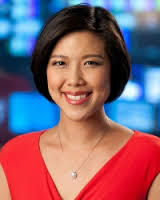 If Bloomberg is not going to get a market oriented lead then I might suggest Yvonne Man out of Hong Kong as she is classy, doesn`t ask "airhead" questions that are so out of left field to be cringe worthy in nature, and speaks well with adequate presence on air. But personally I would like to see the Networks raid some I-Banks for a female lead who can bring something to the table from a "boots on the ground" perspective. Who knows how to pivot from the basic news story of the day, and ask the pertinent questions that stem from said market event for the analysts to expound upon to add that next level analysis and market insight.